The MSc in Health Economics is a taught Masters programme which introduces the student to the theoretical principles and practical techniques of economic analysis which are applied to inform health policy and health care decision-making within the evolving global context of technological development, population ageing, rising healthcare costs and changing patient preferences and expectations. In particular, the programme seeks to equip students with the tools to examine individual behaviours with respect to health and health care, to explore alternative systems of health care finance and delivery, and to apply economic evaluation, preference elicitation and econometric techniques to inform health care resource allocation. The programme consists of a mix of modules, which are delivered through a series of lectures, practical workshops, tutorials, and seminars from academic and industry experts, in addition to a supervised minor dissertation, which is generally completed over the course of a summer placement at an appropriate research agency. The programme is designed for people interested in pursuing a career in the public sector, working in the government, the health service or public health agencies, in the private sector, working in the pharmaceutical, medical device or private care industries, or in the research sector, working with public, academic, or private consultancy agencies. The programme is assessed in a variety of ways, including coursework, examinations, and a dissertation completed over the summer months. Modules are assessed through a combination of written examinations, continuous assessment, assignments, and applied projects. Semester One examinations take place in December and Semester Two examinations take place in April/ May. In line with employer needs, communication and presentations skills are implemented in the assessment structure. The dissertation of approximately 8-10,000 words in length is submitted in autumn and involves a series of discussions, meetings and progress reporting to supervisors within an agreed timeframe. The dissertation is usually closely linked to a work placement in an appropriate health agency. Applicants should normally hold a primary degree qualification from a university or other internationally recognised academic institution or authority, corresponding to Level 8 of the Irish National Framework of Qualifications (NFQ). A minimum standard of a Second Class Grade 1 Honours or equivalent: GPA of 3.3. This qualification must generally include the study of Economics up to an intermediate undergraduate level. Applications for the full-time and part-time programmes are particularly welcomed from people working in the pharmaceutical or medical device sectors and from people working in the health policy or health care system sectors. In such cases, applicants without a background in Economics will be offered an opportunity to take an online preparatory course before being accepted on the programme. IELTS score of 6.5 will be required for international applicants. The MSc in Health Economics consists of 90 ECTS (European Credit Transfer and Accumulation System). Students complete a combination of modules (worth 5 or 10 ECTS) and a dissertation (10 ECTS) to fulfil the 90 ECTs requirement. EC505: Minor Dissertation - Students spend up 8-12 weeks on placement with an appropriate health economics organisation, which may be a pharmaceutical or medical device company, a public agency, a research centre or an international organisation. The internship allows the student to apply the theories and techniques learned in the taught modules. Graduates with a MSc in Health Economics qualification are in high demand nationally and internationally. Recently graduated students from NUI Galway have embarked on careers in areas such as the pharmaceutical and medical device industry sector, research consultancy, and the voluntary and public sectors. Other graduates have pursued further education at PhD level at NUI Galway or other national and international institutions. Each student completes a 8-12-week placement with a company, a government agency or a health research agency. Placements have previously been organized in major pharmaceutical and medical device companies, in agencies such as the Health Service Executive, the Health Information and Quality Authority, and the National Centre for Pharmacoeconomics and with leading research centres at NUI Galway and beyond. The course is suited to individuals from multiple backgrounds who are interested in pursuing a new career in Health Economics or in incorporating the tools of Health Economics into their current career pathway. The course will suit recent graduates in Economics, Business, and the Social Sciences who have studied Economics. 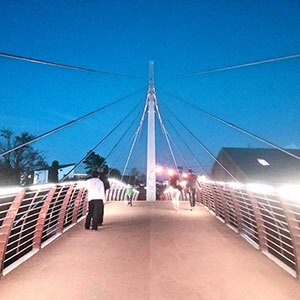 The course is also open to recent graduates in Mathematics, Statistics, Engineering, Medicine, Pharmacy and the Health Sciences who have completed a bridging course in Economics. The course will also suit individuals working in the Pharmaceutical or Medical Device industry sectors or in the Health Policy or Health Care sectors who wish to advance their careers by gaining a thorough understanding of the theories and methods of Health Economics. The aim of the Health Economics and Policy Analysis Centre (HEPAC) is to develop, apply and teach methods for the economic analysis of health and health care. 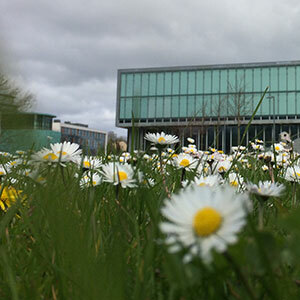 The Health Economics and Policy Analysis Centre (HEPAC) is located in the Institute for the Lifecourse and Society (ILAS) at NUI Galway. The Centre is part of the research network at the J.E. 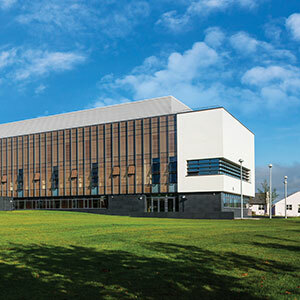 Cairnes School of Business and Economics, which includes the Whitaker Institute for Innovation and Societal Change. 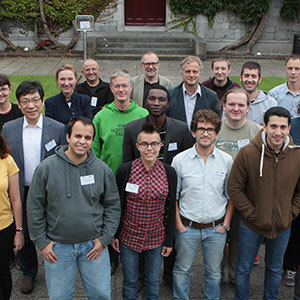 HEPAC have extensive links with clinical and social science researchers at NUI Galway, as well as being engaged in active collaborations with colleagues in national and international organisations. Researchers at HEPAC are currently applying health economic methods to explore a range of research questions in relation to ageing, dementia, disability, mental health, chronic disease, cancer, and obesity. While the research is mainly of an applied nature with an emphasis on peer-reviewed academic output, members of HEPAC also engage and contribute to policy formulation in a range of areas at national and international level. Current research projects include those funded by agencies such as the Health Research Board, Science Foundation Ireland, Atlantic Philanthropies, and industry partners. Click here for more information. The campus is a beautiful friendly environment with excellent facilities. Coming from a BA in public and social policy the Masters programme in health economics was quite intensive, however the lecturers were extremely helpful and approachable. Our class was very cooperative and friendly. 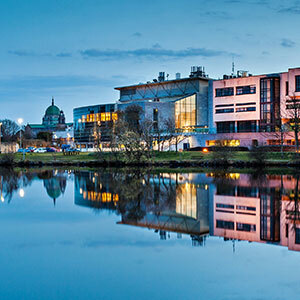 What drew me to NUI Galway was the potential placement opportunity the course offers. I conducted my placement with the Irish Haemophilia Society which opened up many doors for me. Not only did I gain real work experience relative to my field I was brought along to conferences and this enabled me to network. This is where I met my current employer. I now work for health economics consultancy firm in the UK. Health economics is an extremely useful course to have completed which can be applicable to a work force internationally. This was a huge factor in my decision in picking this particular course. I had a great year doing my MSc and would definitely recommend NUI Galway if you are considering this course! As a Master’s student in Economics, I was impressed by NUI Galway’s students, faculty, and facilities. The program size was small, allowing me to learn from and become friends with my fellow students in a collegial atmosphere. The faculty were fully dedicated to students, easy to talk to, and well-versed in their fields. 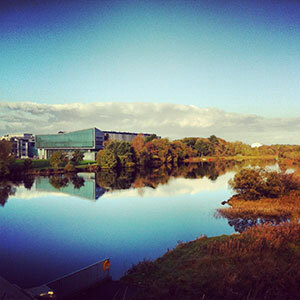 Meanwhile, the facilities at NUI Galway were top-notch, with great computer labs, libraries, and social spaces. Lastly, I enjoyed living in Galway, with its historic city center and scenic seaside promenade; Galway was a perfect launching pad for trips across Ireland and Europe. During my time in Galway, I gained a unique understanding of economic policy in the context of Ireland and the Eurozone. 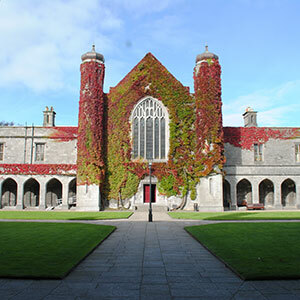 I strongly encourage international students to consider study at NUI Galway. I graduated from the MSc in Health economics in 2013. On completing my MSc, I began working in the pharmaceutical industry. I currently work in the area of public health as a global health economics manager and am based in Switzerland. In this role, I get to work on a range of interesting evidence generation and synthesis activities. A unique aspect of this course is that many students are afforded the opportunity of a summer placement at various organisations or pharmaceutical companies. As a result of my summer placement, I was afforded the opportunity to present my dissertation at the Irish Otolaryngology Society Conference which really increased my confidence in presenting my work to professionals with a clinical background which I’ve found essential in my career to date.The MSc in Health Economics has prepared me well for the real world. My current role requires me to regularly apply what I learnt during my health economics course at NUIG, particularly in area of health technology assessment, technical report writing and in the area of critical appraisal.